Hotrods and race cars have long been objects of fascination, envy, desire and pure fun. Design enthusiasts marvel at the lines and contours of beautiful cars, whether they’re racers, hotrods or just your average vintage Corvette. The customizability of an automobile’s engine is an ongoing subject of fascination. Go to any automotive forum and you’ll likely encounter all variants of shop talk. This traditional world of hotrods has met the world of high technology head-on via Hackrod, a company known for its exotic looking, customizable 3D-printed vehicles. Hackrod is taking full advantage of Siemens design, visualization and manufacturing software and the results already look pretty mind-bending. Hackrod's project, La Bandita, was described in detail at the Siemens Industry Analyst Conference 2018 recently concluded in Boston. Hackrod CEO Mike “Mouse” McCoy and CTO Slade Gardner explained how automation tools such as NX software, cloud-based Solid Edge Portal software, Sinumerik CNC control software and LMS Testing Solutions are used by their company. Total control over the entire design-to-manufacturing process is the proprietary dual deposition and CNC machining platform created from scratch by Hackrod. Putting an industrial design-to-production process in the hands of a person, a small enterprise, or a startup company will enable them to create a dynamic product in a sophisticated but simple manner. Hackrod is a case in point, able to showcase what happens when expert automotive designers use sophisticated industrial automation technologies, including virtual reality, to recreate their product design workflows from the ground up. McCoy, a former Hollywood stunt driver and professional racer, is intent on perfecting a distributed manufacturing network—already in progress—that connects Hackrod’s headquarters in California to facilities in Colorado and Pennsylvania. A few years ago, Hackrod was building cars from reclaimed parts and began outfitting them with off-the-shelf sensors, testing them under duress in different driving situations, and collecting data that proved both interesting and useful. Traditional design know-how in racing is less data-driven than one might expect. Knowledge and general principles have typically been communicated in terms that could benefit from a higher degree of empiricism, and though it is not alone in engaging with high technology, Hackrod is changing this tradition radically. The company is benefitting from hardware connectivity provided by Siemens and multi-axis additive manufacturing (AM) to create a production process that can be designed, engineered and visualized by a customer, then manufactured to spec and inspected for compliance with high standards and racing regulations. Hackrod uses Siemens MindSphere as the artificial intelligence infrastructure for the startup's custom AM process, developed internally by Gardner and his team. Simulating the development process begins with the car’s chassis. Putting an initial digital chassis through a machine learning simulation has allowed Hackrod to successfully digitize the external sensor-to-chassis environment that yielded valuable design data in the physical world back when the startup was founded. By integrating a machine learning simulation within the available design parameters of its proprietary multi-axis AM process, Hackrod is able to optimize the chassis design for a faster manufacturing method than the speeds that characterize most industrial AM operations. This hybrid of CNC machining (subtractive) and 3D printing (additive) works in a unique way. First, the additive head extrudes material and then moves out of the way as the 5-axis spindle machines material away relying on 10-position tool changes that allow it to use a ball mill, lollipop cutter, block cutter or end mill to accommodate the machining of the specified geometry. The build volume for its aluminum wire arc AM is 12 feet x 6 feet x 4 feet, which is fairly large for metal 3D printing. Not every component is going to originate from this proprietary methodology. In fact, only La Bandita’s chassis, frame and body supports will be 3D printed. The other components will come from a library of existing parts that are suitable for reuse. For design review, Hackrod is using NX Virtual Reality functionality, an add-on license option for NX that works with HTC Vive head-mounted displays. Hackrod is reviewing its first prototype designed with AI for multi-axis AM using VR functionality, giving the company a potential edge over competitors that still use clay models and unwieldy but time-tested physical prototyping methods. VR for design reviews of La Bandita means less money spent on physical prototyping. Also, the designer is able to be immersed in a digital version of a 3D design at a 1:1 scale, in contrast to approximating and imagining it from a 2D display screen. 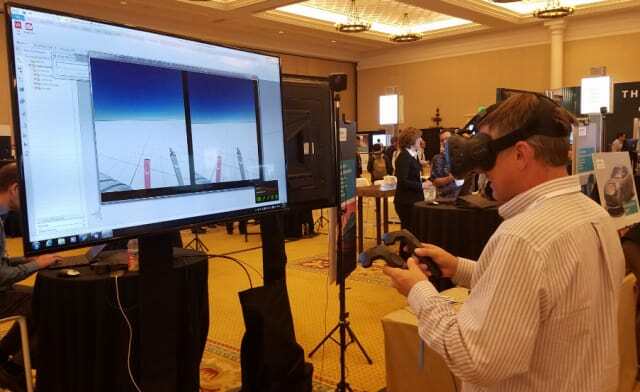 VR also allows collaboration from a distributed team in three states to share NX snapshots with each other, either in VR or on a flat screen. After the chassis and support components are printed and existing components are tagged for reuse, they will be incorporated into an assembly in NX that utilizes generative design. In NX, the Hackrod team can manifest new design options using generative design features and tools like Convergent Modeling, topology optimization, and NX Realize Shape in NX CAD. These design checkers, an optimized lightweight lattice design and a supply chain prepared for transforming prototypes into full-scale production models are giving Hackrod the potential to offer users the ability to customize their vehicles from every stage of the design and manufacturing process. 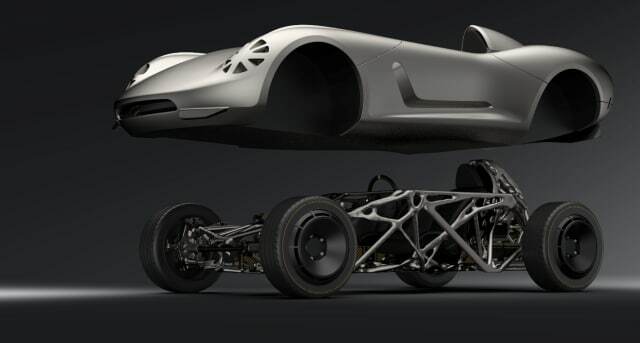 Though the project will not be complete until later this year or in early 2019, Hackrod's customers will be able to use the whole customization method to add specs of existing components they may already possess to create accurate parameters for generative design elements. This will help customers choose from different design elements to create a balanced design that is grounded in the reality of best design principles as well as their specific preferences for ideal vehicular performance. 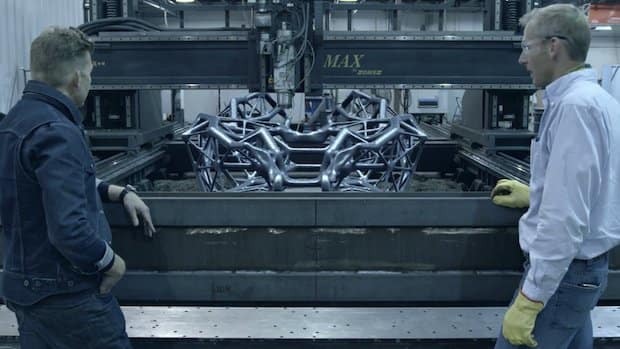 There’s one final step after printing the full-scale chassis with body and frame supports that will make more use of Siemens technology. LMS Testing Solutions sill be used to perform a final comparison between the virtual product design and the manufactured physical version. PLC7 will be employed for control of assembly and TASS International will determine how well La Bandita performs during crash and safety testing. Check out this video from Hackrod for more information.